We see hundreds of animals every week. Many are here just for their routine check ups and vaccinations, but every now and again we see animals with unusual cases, or animals who show particular strength or bravery to get through a serious condition. Please click on the links above for the stories of some of the animals that we have looked after, whose owners have allowed us to use their photographs on our website. We will update these cases when we can, so please check this page regularly. Brian was admitted to the hospital after a cat charity picked him up from a cat colony. Two of his brothers and sisters had already died. Brian was emaciated, anaemic and had severe cat flu. He was about five weeks old but on arrival could not hold up his head and his eyes were stuck together by his conjunctivitis. Brian had fleas and was severely dehydrated. He weighed just 300g. He was put on IV fluids, given antibiotics and decongestants and treated for fleas and worms. He was still not eating by himself so needed to be syringe fed. In a few days Brian was brighter but still would not eat. Brian was taken home by one of the vets to foster. It took two weeks for Brian to eat on his own but eventually he began to. Brian does have residual issues from his flu – his nasal passages have been permanently damaged and he has recurrent bouts of flu several times per year. However Charlie, the vet who fostered him, decided to keep Brian – so he is now a happy adult pet cat! Brianette was brought to us by a rescue. She was severely anaemic due to a high flea burden. It is unfortunately quite common for kittens in households where no flea control is used to become anaemic due to the amount of blood that the fleas take. 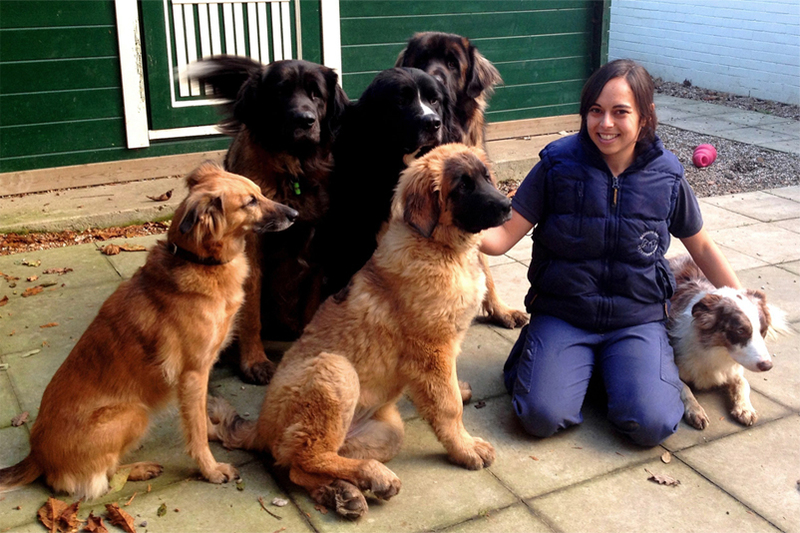 Brianette was fostered with Tink the Leonberger who looked after her like one of her own puppies! All Brianette needed was a flea treatment and some good quality kitten food and she was much better within a week. Happily, she went to her new home a month later. Jupe was brought into the clinic when his owner became concerned that he was quieter than normal. He was admitted to the clinic for investigations and pain relief. After scanning his abdomen we became concerned something was wrong inside his stomach. Jupe under went surgery to investigate the cause of his pain and to our and the owners surprise we found a 7 inch kebab skewer stuck in his stomach. He must have stolen it from a BBQ 3 weeks before! The surgery to remove it was a complete success and Jupe is now back to his usual happy self.